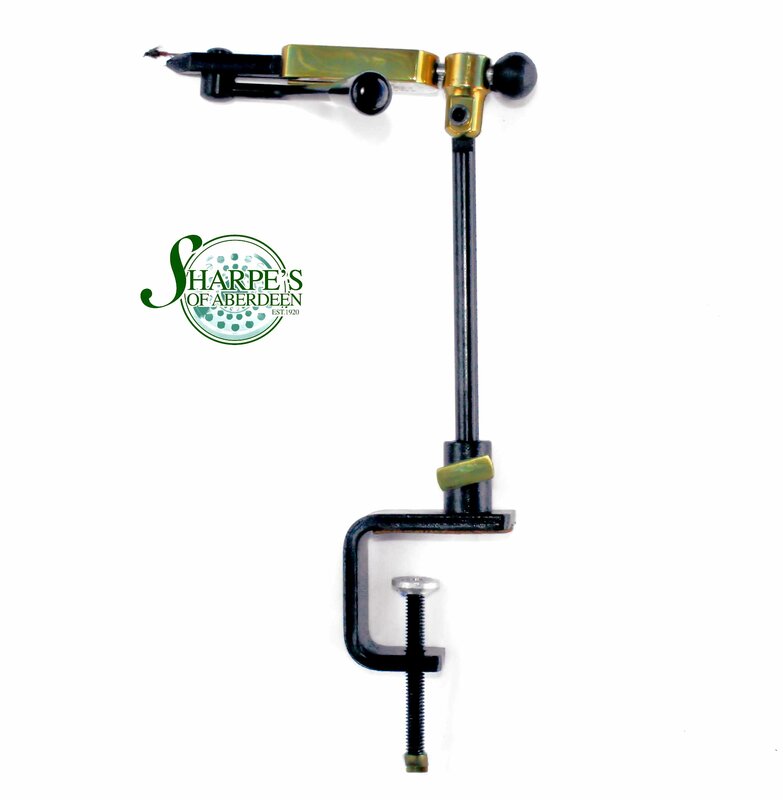 Revolving Deluxe Solid multipurpose vise. 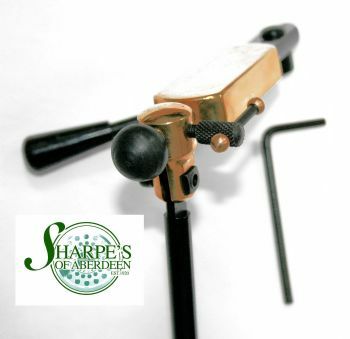 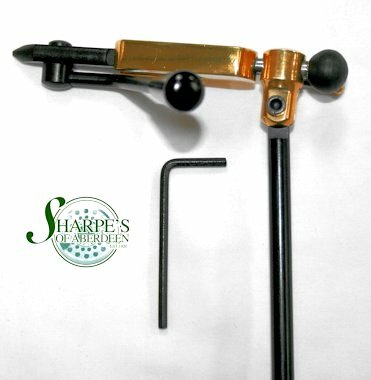 Strong quick-set lever action locks hooks in a soild brass head with steel jaws. 360 degree revolving head with brass spin-lock.